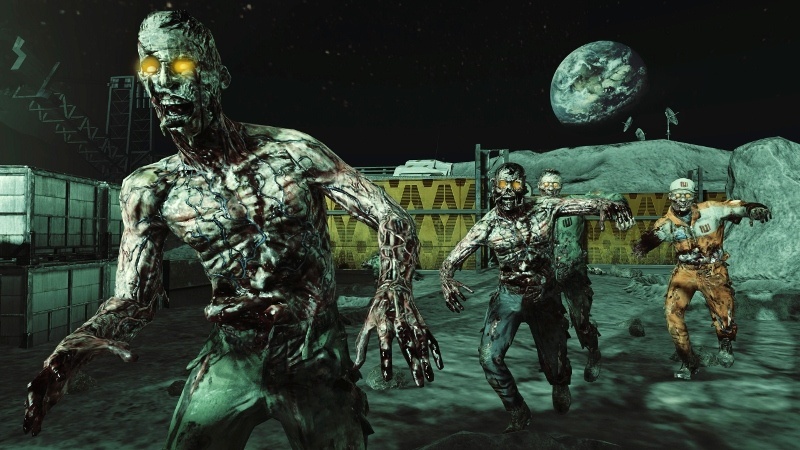 We're zombies on the moon! 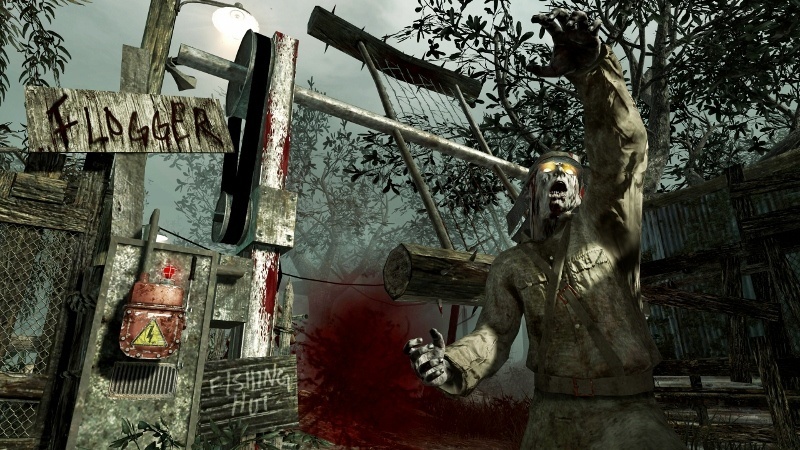 Even more Call of Duty: Black Ops content is coming our way. The latest batch is titled Rezurrection, and it is the most co-op friendly DLC to date. 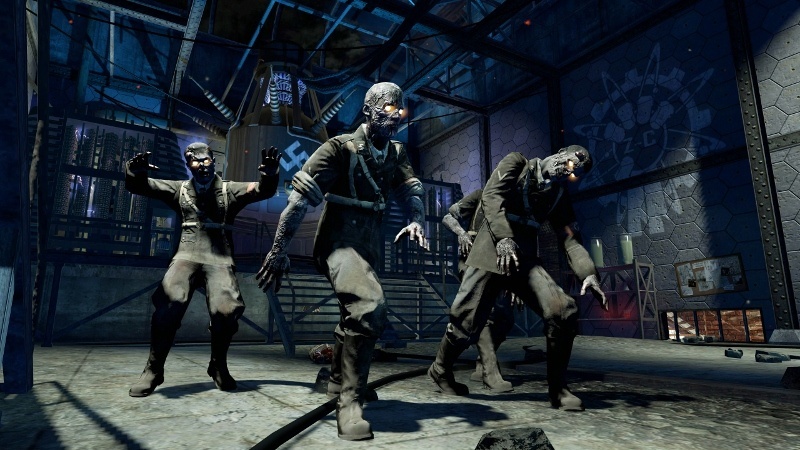 Rezurrection will feature only cooperative Zombie maps. No multiplayer versus maps here. 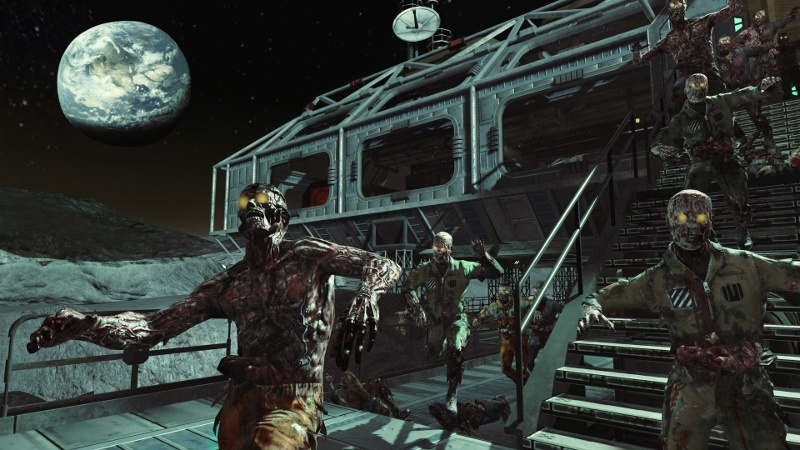 As you have probably deduced from the above screenshot, there will be a new Zombie map titled "Moon." It takes place on the frick'n moon. 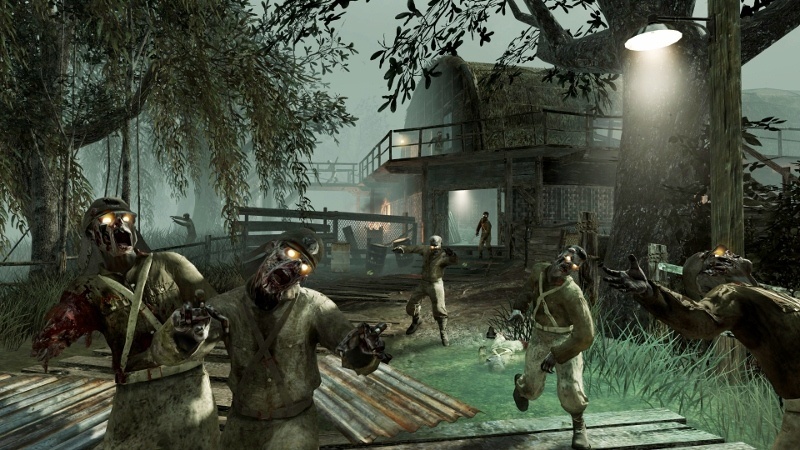 Four classic Zombie maps have been re-mastered and will come in the package: Nacht der Untoten, Verruckt, Shi No Numa, and Der Riese. ​Rezurrection will be available first on Xbox LIVE, August 23rd. It will cost 1200 MSP. We expect the DLC to be available for the PS3 and PC shortly thereafter. 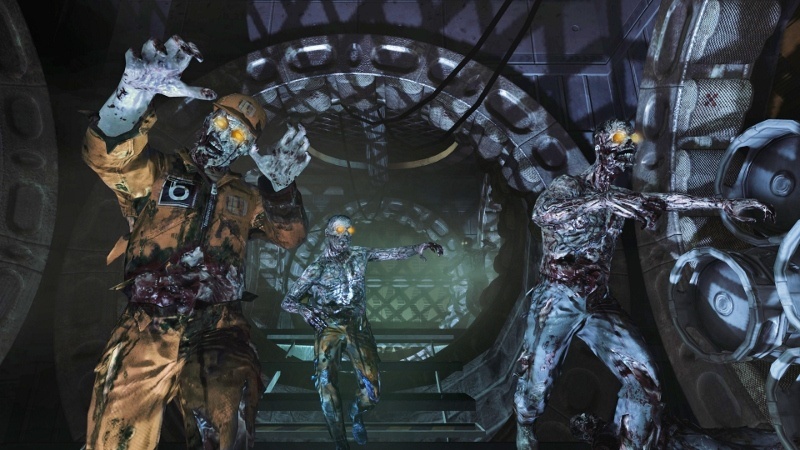 The CoD: Black Ops Zombies mode supports two player local co-op and four player online co-op. 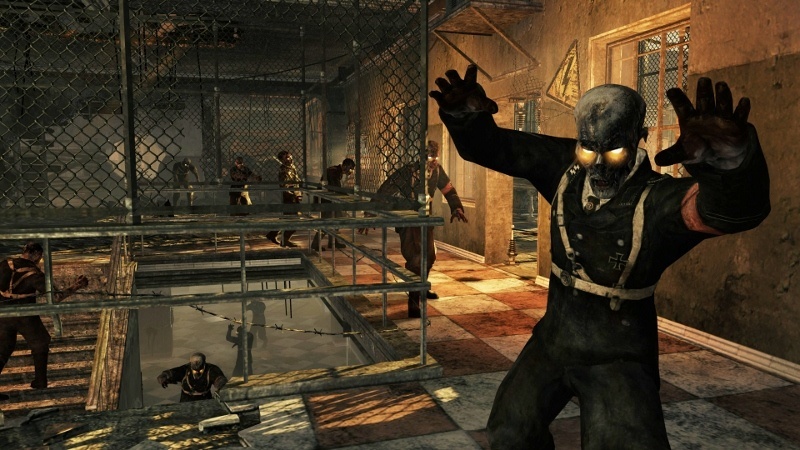 Click the"Read More" for more information and to see some new Low G Zombie screenshots. 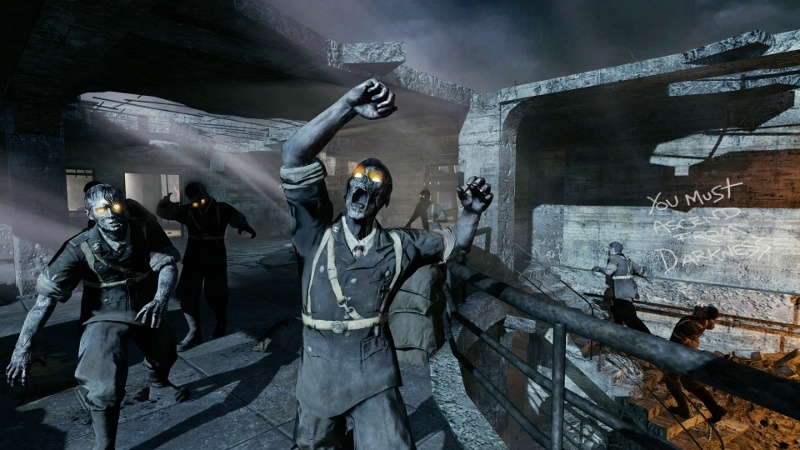 For our fans who purchased the Black Ops Hardened or Prestige Editions and already own the four re-mastered maps, the other contents in the Rezurrection pack will be included at no cost, including Moon, the soundtrack and the theme. Page created in 0.3097 seconds.